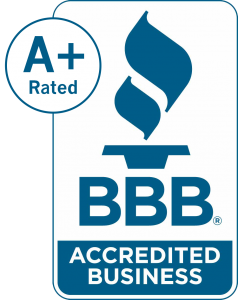 Founded in 2009, we have quickly become known as one of the best full service heating and cooling companies in the Denver Metro area. We believe this is due to the pride we take on giving an unparalleled customer experience. Our team is highly educated and treats your home like their own. We specialize in Heating, Air Conditioning, Tankless Water Heaters, Home Automation, and Whole House Humidification , Whole House Humidifiers and Whole House Air Purifiers. Premier ensures the quality of installation which gives you the assurance your system will operate to the best of its capability. In addition, we have ultimate availability giving us access to all brands at the best prices and manufacturing sizing. This makes certain that you are getting the right product that best fits your home. Our installation includes all labor, all electrical, programmable thermostat, removal and recycling of old equipment, gas safety check and all required permits. Our Sales Team offers each buyer confidence by determining the right size of their investment. Each member is trained and experienced in sizing requirements, building codes and efficiency options. Our comfort sales team will explain operating costs, system maintenance, and system replacement cost options. We have an amazing team of service technicians who are NATE (North American Technician Excellence) Certified and receive ongoing training. 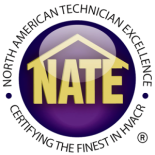 NATE is the leading non-profit certification program for technicians in the HVAC repair industry and the only test supported by the entire industry. We hire only the most competent and trustworthy candidates each having undergone background checks and drug screens to ensure our team members are Seal of Safety Approved. Lets chat and see how we can best work together.